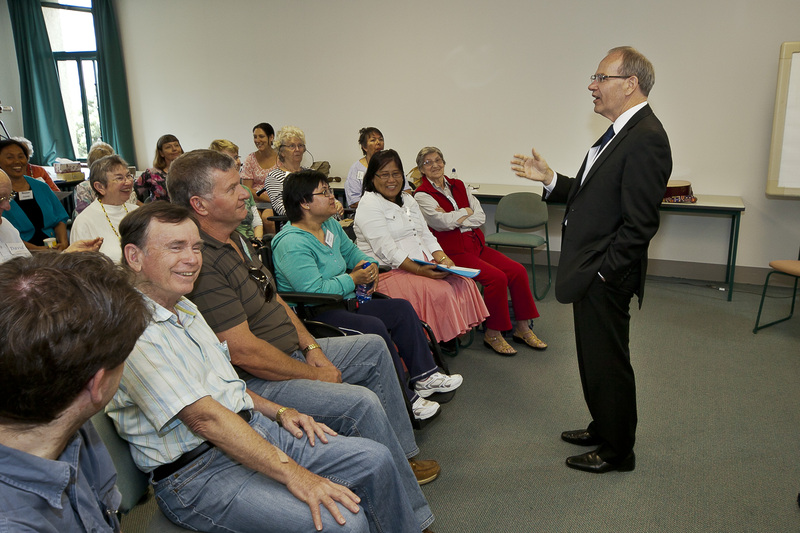 Auckland City Mayor Len Brown sang with members of the CeleBRation Choir this week. The community music therapy group offers singing therapy to people with communication problems through brain disease. for Brain Research at The University of Auckland. Members include people who live with the effects of stroke, Parkinson’s or Alzheimer’s disease, along with other neurological conditions. People with these conditions may have problems speaking but find they can still sing. Mayor Brown was treated to a list of well-known songs, solos and rounds before he discussed his love of singing and its role in his own recovery from a heart attack. He then led a rendition of the Christmas carol “Oh Come All Ye Faithful” and gave a solo performance of a new waiata “Ko Tamaki Matou” celebrating the history and future of Auckland. 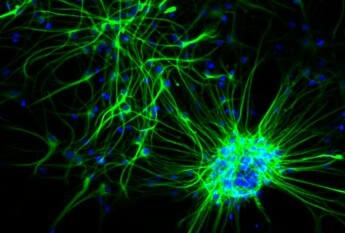 His visit provided a snapshot into some of the University’s latest research around brain disease and recovery, led by scientists in the Centre for Brain Research’s Brain Recovery Clinic. He took part in a demonstration of Transcranial Magnetic Stimulation by Dr Jim Stinear, an exercise rehabilitation expert. This electromagnetic stimulation technology is described by Jim as “a simple but effective concept” providing new rehabilitation hope for people with movement problems through stroke. The CeleBRation Choir choral group began as a social gathering for people affected by brain disease in September 2009. Now, two years on, it is not only a successful meeting of camaraderie, good cheer and melodies but also the subject of a number of academic studies into the unique benefits of singing therapy for the brain. A team at the Centre for Brain Research is studying the CeleBRation Choir as a potential therapy for people with communication disorders through brain disease. Called SPICCATO (Stroke and Parkinson’s: Investigating Community Choir Engagement and Therapeutic Outcomes), the research is funded by the Health Research Council. The team is led by Speech Science Head Professor Suzanne Purdy, and will look at therapeutic benefits from taking part in group singing – including people who have aphasia through stroke, and people with Parkinson’s disease who can develop voice or speech problems.